 (2010) Handbook of phenomenology and cognitive science, Dordrecht, Springer. At first glance phantasy seems to be an unessential part of our conscious life, and if we limit ourselves to a purely empirical view of consciousness, it may be difficult to recognize the powerful and central performance of imagination. Thus phenomenology as a descriptive analysis of the essential traits of our conscious life has to analyze phantasy and its functions. I will delineate some of the ways of analysis and also make clear how we can relate phenomenological and transcendental reasoning to empirical research and cognitive science. My aim is to establish the transcendental function of phantasy in perception and in higher cognitive acts directed at states of affairs and the intentions of others by showing that humans apprehend these cognitive contents phantasmatically.My first main thesis is that weak phantasmata perform a decisive function in human and animal perception. More precisely, I view these "helping phantasmata" as performing a "transcendental function" of perception. Without such a function of imagination, perception would not be possible. Thus in the first part, I argue for the factuality and necessity of phantasmata in perception, drawing on Kant's remark concerning the existence of weak phantasmata in perception. Then we will see that there are phantasmata accompanying our perception in every field of sensuality. To understand the function of phantasma in perception, it will be necessary to discuss the essential traits of apperception with the help of a type (Typus). Lohmar, D. (2010)., The function of weak phantasy in perception and thinking, in S. Gallagher & D. Schmicking (eds. ), Handbook of phenomenology and cognitive science, Dordrecht, Springer, pp. 159-177.